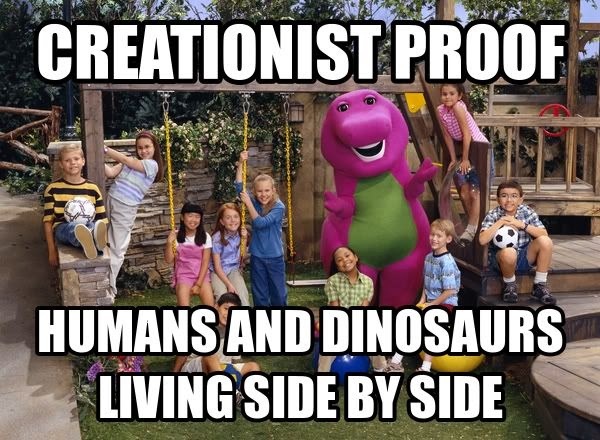 Debunking Christianity: Ken Ham’s ‘Creation Science’ Sham. Ken Ham’s ‘Creation Science’ Sham. Ken Ham’s ‘creation science’ has nothing to do with actual science (which seeks a deeper understanding of the way our world and the universe works). I mean, think about it. What recent discoveries have been made by ‘creation scientists’? Medical breakthroughs in treating diseases and preventing human suffering? Technological advances which better our lives? A deeper understanding of the human mind enabling better treatments for mental illness? Correct me if I'm wrong, but I can’t think of any. And why is this? Because ‘creation science’ a sham. It is a self-created label by which biblical fundamentalists seek to legitimize their theology and mythology by branding it as science. ‘Creation science’ only looks backwards, and seeks to hold onto outdated ways of thinking, instead of looking forward, refining understanding, and discarding incorrect ways of thinking (what true science does). The main aim of ‘creation science’ is to prop up and defend the way that ancient, superstitious, uniformed people thought the world and universe worked. This was a world, not governed by natural laws, but by the actions and emotions of gods. Ham’s efforts serve several purposes. The first is to defend the fundamentalist view of Genesis as a literal, inspired account by his god, of how the universe came to be. He freely admits this, recognizing that if the foundation of Genesis is prove to be faulty, then the whole structure of Christianity is dangerously weakened. After all, none other than Jesus himself is recorded as speaking of Adam and Eve, as if the Genesis account was factual. As the above quotes from Ham (as well as the sermonizing he engaged in during his recent debate with Bill Nye) show that his underlying motivation is a religious one. Young-earth creationism, and ‘creation science’ are merely tools by which he seeks to protect certain religious beliefs about sin, salvation, Jesus, and the cross. The pretense of science is just a means to an end. Otherwise, he would never bother with it. It is a counterfeit used steer people away from the real thing. Ham’s second purpose is to serve as a provider of methods and materials by which parents can indoctrinate their children into this faulty way of understanding the world. He is an enabler for the abuse of children’s minds; a huckster for an elixir of ignorance; a prophet of foolishness. He makes his living preying on gullible parents, and their impressionable children. Fundamentalists love to feel that they are embattled martyrs for truth, and Ham is happy to scratch that itch for them. His website and ‘ministry’ serve up a steady stream of misinformation, providing a safe harbor for the fearful faithful who feel threatened by science and reason. I have no idea whether Ken Ham actually believes his own lies, or is merely a guy who figured out a way to make a cushy living by spouting phrases such as “Were you there?” and “Billions of dead things, buried in rock layers, laid down by water, all over the earth.” His ‘creation science’ is a sham, but if you need a saddle for your dinosaur, he probably has one for sale in the gift shop of his Creation museum.